It is an “artificial root”, a high purity titanium screw which replaces one or more missing teeth. It is inserted in the maxillary or mandibular bone, being a painless and slightly invasive procedure. 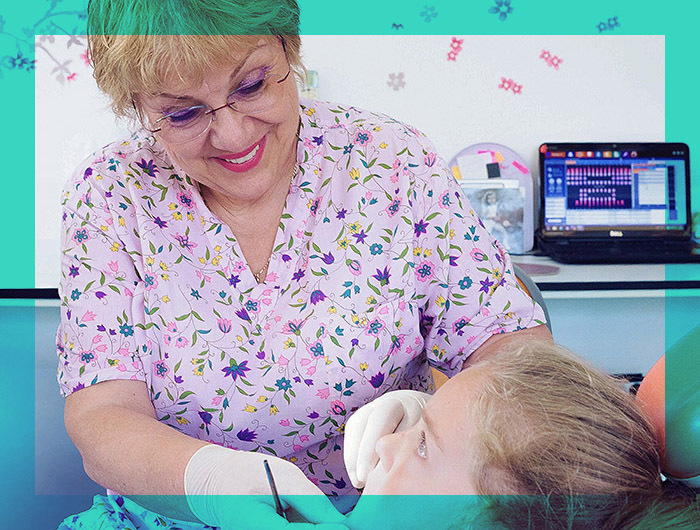 The main advantage of the implant treatment is that it allows the preservation of the old teeth which do not need to be polished and covered with prosthetic works. Implant restorations are the most viable substitutes of teeth, having a longer lifetime and providing the patient comfort, masticatory and aesthetic efficiency and self-confidence. 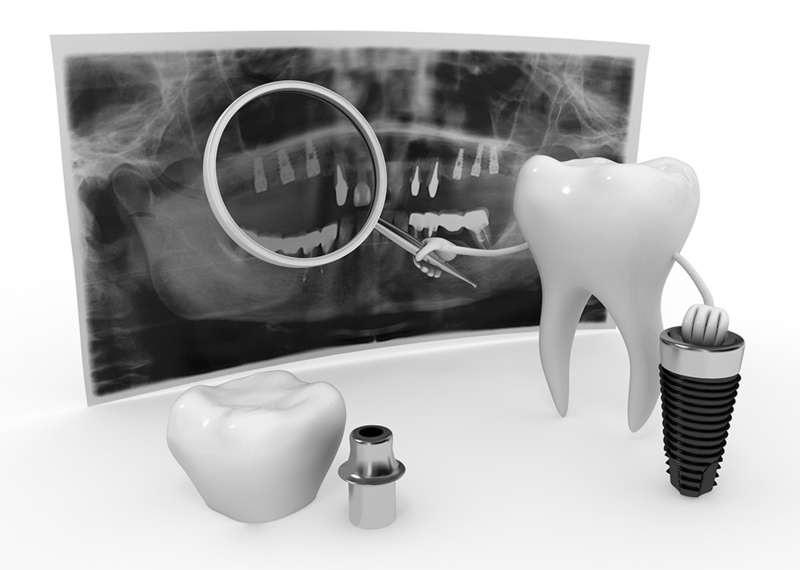 Dental implants are an optimal solution also in case of mobile prosthetics – if the loss of bone substance does not allow a fixed prosthetic solution. The surgical procedure is performed under infiltration anesthesia and the patient leaves home in the same day. 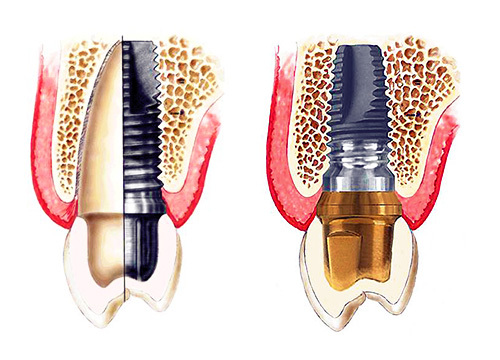 The implant can be inserted in the same session when the compromised tooth is extracted, or at 2 – 4 months after. Therefore, the loss of bone tissue subsequent to the extraction is prevented. the patient general health is examined. 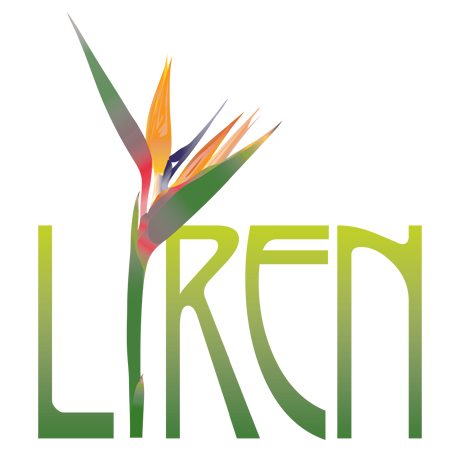 Eventually, medical analyses and investigations are recommended to be performed. after this period, the implant is uncovered and a healing abutment is fitted (a cap which will square the gum in order to apply the prosthesis). In this stage, based on an impression made by the doctor, the dental technology laboratory makes a dental crown. The implant – bone – gum junction is much more sensitive to bacteriological attack than the tooth – bone – gum junction. The bacteria in this area determine in time gingival inflammation and subsequently bone resorption, which, untreated, may lead to the loss of the implant. Therefore, an excellent oral hygiene is required. The use of interdental brushes, superfloss and oral shower cleans this peri – implant area, where the classic brush cannot reach. Also, a teeth scaling and a professional brushing are required after 6 months.